Another compilation from Opera Rara’s extensive catalogue of rarities. As with the previous album, Duets to Die For, there is the opportunity for a little armchair musicology – this time looking at the roles of tyrant verses lover. Another compilation from Opera Rara’s extensive catalogue of rarities. 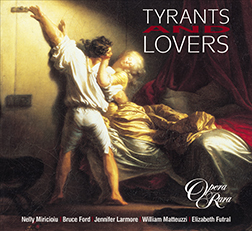 As with the previous album, Duets to Die For, there is the opportunity for a little armchair musicology – this time looking at the roles of tyrant verses lover. The essence of Romantic Opera is found in strongly-drawn characters, most of whom are either in quest of love or busy thwarting someone else’s quest in favour of their own design. 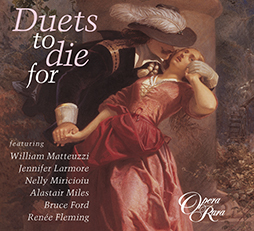 Ensembles include a duet from Pacini’s Maria regina dInghilterra (Bruce Ford and Nelly Miricioiu) and two Donizetti quartets: Pia de Tolomei (led by Rockwell Blake and Garry Mcgee) and Zoraide di Granata (with Bruce Ford and Majella Cullagh). 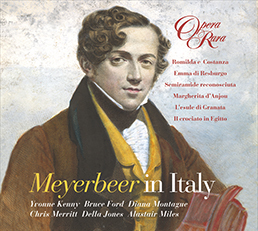 Tenor William Matteuzzi sings a melting aria from Auber’s La Muette de Portici. The bonus is the three selections, which have never been released. Donizetti wrote two of them. Bruce Ford sings an aria from Torquato Tasso and Christian du Plessis leads an entire regiment of tyrants in a testosterone-laden vengeance scene from Buondelmonte. Much, much lighter than these two villainous pieces is the trio from Balfe’s Falstaff for the Windsor wives and their plans for Sir John himself. 02 Zoraida di Granata, Act I: Ah mie furie! Oh avverso fato!